All sizes coming from east coast Canada farms. West coast Canada: only producing small size fish, 6/8 thru 12/14, with a few 14/16 in the market. Price went up, not much fish but is still available. Sword: is stable, full moon again in two weeks. Mahi: Tight in market, fish is available, high priced. White Seabass: available from southern California is in season, Mexico will be in season soon. Alaskan Halibut is in full swing until October. Live Lobsters: full swing, hard shells shipped to California only. Soft Shell live available but not good for air shipping. PEI Mussels: full summer swing, so far no sign of spawning. BBQ Oysters: (medium is very short, plenty of small size. Demand exceeds supply and there does not appear to be any open fields to buy. Prices will stay strong at least through next week because demand is strong. Heads are fairly firm to firm and overall the quality is good but field inspectors are seeing some occasional weak tip, very occasional mildew stain and a supplier who was experiencing chemical over spray, see photo below (this product was not packed). Our field inspectors are seeing some light weights because the packers are harvesting the fields a little early. With the rain and extreme heat in the East and Canada, many distributors are going west to get romaine; which is causing inventory to get a little tight and increasing the markets. However, they are not as short on supply as they were last week. Romaine cross valley farms is weighting in at 36-38 pounds with several suppliers making the grade to pack our label. There is a wide range in quality and most of the lower price quotes are sub-par to say the least. Green Leaf is sluggish and Red Leaf and Boston are active. Green leaf is weighing in at 22-25 pounds. Many shippers still have storage crop from last year and want to move that out before the new crop comes in. They are anticipating new crops from some suppliers first of August and others the middle of the month. The new crop looks to be average in tearms of the sizing of the potatoes and potential above average yields. Expect to see an increase in prices until the new crop is in and the markets adjust to the supplies. All the major shipping regions have new crop red potatoes available and the red market remains steady. There is a slight shortage on size A, leading to higher prices. There is a surplus of size B potatoes leading to cheaper prices. We are expective the supplies on both to balance out in the next week. New crop white potatoes are available from several shipping regions with very stable pricing and good quality. New crop yellow potatoes will be available this week out of the Midwest. Specialty potatoes are available out of California and Wisconsin is not far behind. Yellow onion prices continue to increase because of lack of product mainly from New Mexico. This is from several factor but mainly farmers are planting less so they can make more money on the crop. This year they also had issues with the extreme heat and some bad storms during the harvest which led to smaller yields, smaller size and the loss of acreage. California is having an average year but with the lack of product from New Mexico the market is tight and California just doesn’t have enough product to make up for it. Price increases are common this time of the year. Colorado is beginning this week and is produce is starting off with larger sizes. We can expect to see the market weaken in 2-3 weeks once product from Washington and Oregon are on the market. Prices of white onions are also climbing due to a shortage of quality supplies. Jumbo whites are becoming especially tight. Red onion prices have firmed up slightly as well. The sweet onion season out of Calif. is still going strong. There is plenty of availability on all sizes, and the crop is still looking great! Eastern Markets: Virginia is winding down on the first harvest and there will be a gap in supplies before the second harvest is ready which will be the middle of September. With the gap in supplies we are expecting to see price increases. North Carolina and Tennessee are harvesting product and the quality is good. Roma tomatoes continue to be limit in the east, with the main supplies coming from a few local growers and Ohio. The supplies are not expected to improve until Florida begins to harvest again in the fall. Western Markets: California is having a lighter harvest then desired. This is the result of rains that occurred between plantings which is causing a gap in supplies and the extreme heat that occurred a few weeks ago. When tomato plants experience extreme heat there is too much stress on the plant so they “push” off their flowers so not to produce fruit. This is referred to as bloom drop. Mexico and California have good supplies on Romas and this has caused the market to drop. California product will be abundant until end of September and Baja, Mexico will have good supplies until November. Mexico also has an abundance of grape and cherry tomatoes. There are already ample supplies on the market so we are seeing price decrease for Roma, Cherries, and grape tomatoes. Western Markets: Supplies are steady from Baja Mexico, crossing into San Diego, California. The quality has been good to excellent, with most packs available. The only pack short in supply is large 60 count. The market is holding steady from previous highs as Michigan gets into steady production. The quality from Michigan is reported as good. Eastern Markets: Quality is good out of New Jersey and Michigan has been excellent. North Carolina is reporting inconsistencies with the market remaining steady. Western Markets: Demand continues to outpace supply leading to an active market with prices increasing. Eastern Markets: Market is showing some strength. Michigan and New Jersey have just begun, and limited volume is coming out of North Carolina and Tennessee. No quality issues have come up at this point. Western Markets: The green bell pepper market is holding steady as supplies have stabilized in the San Joaquin, California growing areas. The crop is still running very large in size, with most shippers packing Jumbo and Extra-large and very few Mediums and Large. The quality is excellent. The red bell pepper market is barely steady as supplies increase in California and demand is very light. The quality is excellent. Eastern Markets: Michigan and North Carolina have steady supplies available. The red bell pepper market is barely steady as supplies increase in California and demand is very light. The quality is excellent. Western Markets: Market is tending up for both Italian and Yellow. Some growers are reducing production due to low markets and quality. Weather has been an impact especially in yellow straight-neck squash. A wide range of quality is noted and demand for yellow continues to exceed demand. Eastern Markets: Eastern market is fairly stable moving into the fourth week of July. North Carolina and Tennessee continue to harvest. Michigan and Jersey have product readily available as well. The market is now active. Larger sizing is lighter in availability and prices are climbing. Expect the market to continue to get stronger. Light brown spotting continues to show up on arrivals across all vendors. California carrot supplies remain good along with good sizes. Demand is good and the market is firming. Salinas and Santa Maria, California are the primary shipping locations for quality product, with steady supply out of both areas. The quality out of California is good, with leafy tops and very occasional bowing being the main defects present. Sizes are peaking on 30s and smaller. The demand is fairly good due to light summer plantings and extreme weather in eastern Canada and the eastern United States. Prices are slightly lower this week. Michigan is increasing production and taking demand off of the west coast. Michigan product has ordinary to poor quality, with bowing, thin ribs, light color, and leafy tops being the main defect. The market is steady much like last week. Supplies are coming out of Mexico with most suppliers. The quality continues to have a few issues of decay upon arrival with pencil sizing having the best availability. Georgia has completed their harvest and North Carolina will be done by first week of August. California is improving in overall volumes due to good weather but harvest volumes continue to be less than overall demand. Region still in a demand exceeds supply due to limited east coast offerings. California continues strong production in this region overall as the USDA report over 2 million more cases produced in the last 4 weeks of this year compared to last year industry wide. Watsonville is still has strong production with nearly all harvest intended for fresh. Price increases because there are lower supplies on the market but the demand is high. The product that is available is good quality with sweet flavor and a firm texture. Just like last week the market steady because the valley is going in good volume on all colors. The overall quality is excellent. Expect good supplies of fruit out of the valley through November. Prices on pears and apples in general are increasing as storage crops are finishing up. Suppliers have Gala and Fuji for 3-4 weeks and then they will be out of product. Anjou pears are expected to run out of supplies in about a week. Some import are available but all in the largest sizes and not on a products. There was MAJOR hail damage throughout all of Washington last week and the damage of the crop is still being assessed. There is more supplies on the market from CA, Mexico and Peru. Due to the abundance of fruit prices are decreasing. Overall quality is excellent: flavor is nutty and texture is creamy. California harvest is in peak season; Hass variety with an outstanding quality. Market steady with good supplies of fruit especially on 88’s and larger, overall quality is fair to good with excellent juice and sugar content. Expect to see some green around the stem end and the blossom end. We will have good supplies of fruit through October and then start navels around that time, there are also some Chilean and Australian navels around. Market steady with good supplies of 115’s and larger, as we are peaking on the larger fruit. The overall quality is good with good color and very good juice content. Expect good supplies of fruit going forward as we are seeing some Chilean arrive and will continue to increase in volume which should help keep the market steady. Market is steady but we are expecting it to increase in August. Growers are still having issues recover from the rains and getting the product packed. Expect to see lighter colored limes, blanching and shading due to the conditions (higher temperatures and rain). The market is level and decreasing. There has been an increase of supplies with the new crop from Bakersfield and Westside being harvested. Farmers are balancing fruit coming on earlier as result from extreme heat a few weeks ago and it being cooler the last week which has slowed the availability of product. Sizing on cantaloupe seems to be running normal with a good mix of 9’s-15’s with a few 18’s. Honeydew production is on the lighter side with sizing running mostly 5’s and 6’s with few 8’s. Demand is stronger than supply, consequently fobs are up this week. We don’t see the market easing up this week and I doubt if next week will offer any changes. PINEAPPLES We are starting to see fewer products on the market and this trend will continue. Expect to see prices increase from this trend. Texas, east Florida and the west coast are very short or completely lack 5 ct and 6 ct fruit. This shortage is expected for the next 3 weeks. Hummus is one of the most widely eaten and popular foods of the Middle East. It was introduced into the United States around 1910 when large numbers of people from Easter Europe and the middle East to emigrate. Chef's Line Hummus from US Foods is packed in a resealable tub for easy storing and reuse, our all natural hummus is produced in small batches to deliver an authentic product. It contains no preservatives or oil extenders - just imported tahini from Jordon and ground chickpeas and authentic spices (sea salt, garlic, cumin). 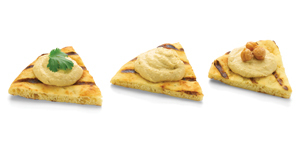 For more information about Chef's Line Hummus Click Here! Or check out this fantastic recipe from the US Foods Culinary Team; Beef and Hummus Dip. Who is Pickling Veggies these Days? The real art of artisan breads: a fermentation starter that develops the flavor and texture and pumps up the flour. Start at the very beginning. The use of a sour starter is a method of bread baking that goes back at least 6,000 years, since yeast had to be sustained from bread batch to bread batch. Legend has it that Columbus brought a starter with him to America, and the technique was a standard method of baking in the early days of the U.S. This is sometimes referred to in English as a 'mother' or 'sourdough' starter and in Italian as lievito di madre, madriga or pasta acida. 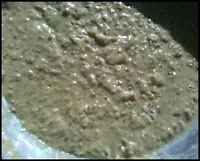 Before beer yeast was readily available, each household made its own starter from airborne yeasts or those found in fermenting fruits such as grapes. This was kept in the fridge and ‘fed' regularly with flour and water. These starters are everlasting--some bakeries in America claim to have had their starter for over 100 years. With the advent of commercially available yeast and baking powder in the nineteenth century, the use of such starters was confined to those pioneers who moved farther and farther from settlements. Why biga? The availability of baker’s yeast spurred a shift away from sourdough by Italian bakers. The biga starter was created to recover the flavor which was lost and to reinforce the strength of the dough, making it ideal for products such as brioche or stolen. Made a day before the dough and left out to ferment at room temperature, biga produces a wonderful aroma, open texture, chewy crust and a slightly beery, acidic aroma inside. The risings are long and bring out the flavor of the grain, according to breadtopia.com. “Biga provides stretchy elegance and high volume to Italian breads,” says Chef Michael Kalanty of Kitchen on Fire, a Berkley-based gourmet cooking school. In addition, breads made with biga remain fresher and longer. What is biga? The Bread Bakers Guild of America describes it as: “a substantial cultivation of yeasts and acids which is very firm to the touch (42-46% of water), cool (64-68 F), and made active by a dose of yeast (1%), which achieves multiplication of the yeasts, hydration and maturation of the gluten and formation of acid and aromatic substances.” Translation: a strong, active, and mature starter. You have to start somewhere. Since the Chefs Line™ biga formula and process is indeed a secret, there’s no better place than the biga recipe from Carol Field’s “The Italian Baker,” winner of the International Association of Culinary Professionals Award for best baking book and has been named to the James Beard Baker’s Dozen list of 13 indispensable baking books of all time. Stir the yeast into the warm water and let stand until creamy, about 10 minutes. Stir in the remaining water and then the flour, 1 cup at a time. By hand, 3-4 minutes; with mixer, 2 minutes at lowest speed; with food processor, mix just until a sticky dough forms. Transfer the biga to a lightly oiled bowl, cover with plastic wrap, and let rise at a cool room temperature for 6 to 24 hours (many bakers are happiest with the maximum amount of time when it truly becomes yesterday’s dough). When ready, the starter will be triple its original volume and still be wet and sticky. If you like sour bread, allow your biga to rest for 24 to 48 hours, or you might even stretch it to 72 hours. Cover and refrigerate or freeze until ready to use. If freezing the biga, let it rest at room temperature for about 3 hours until it is bubbly and active again. Next week, another notch…a look at some of the fresh ingredients used to raise the art of bread making to flavorful highs… sesame seeds, Moroccan black olives, whole cloves of garlic – sounds like Chefs Line™ in the making. The bleak European economic situation combined with sluggish U.S. demand has kept the market soft and from all indications it should stay that way over the next several months. We will keep you updated as the market and economy shifts. The Latin binomial or scientific name for swordfish is Xiphias gladius, a reference to a sword wielding gladiator. Although production in Taiwan is about normal FDA scrutiny has resulted in a lot of problems clearing product into the U.S. Inventory levels are adequate and prices steady with production in South America is still several months away. As in every year there is currently a conservation moratorium on mahi fishing in Ecuador putting further pressure on the fresh markets. Seabass movement continues to be slow despite lower prices, as usual we'll keep you updated with the latest market info if anything else changes. Again demand for this species seems to be suffering from high prices and political incorrectness surrounding sustainability issues. The daily catch average has begun to creep up but still isn't getting ahead of mediocre demand. Prices remain high and staying fairly level . The catch as of the 5th of July at 11,024,953 lbs. in Alaska which is around 46% of the total quota of 24,003,027 lbs. Halibut, used to be called Haly-butte, which meant, flatfish to be eaten on holy days. Next big season will be in September keeping prices firm on adequate supplies of smaller sizes and tightening supplies of larger sized fillets. Given the current economic situation in Europe there is a great deal of speculation concerning demand for new season fish. Talk about fertile; a Pacific Cod can produce up to 5.7 million eggs each year! The Bering Sea season is ongoing with product just now starting to hit Seattle. There has been good demand on adequate supply with pricing staying firm. We see no real change in the short term and will update if this changes. Pollock feed on krill, zooplankton and other crustaceans but as they age they have shown habits of cannibalism. New quota's for 2012 are in and they are slightly higher in the Gulf than last year, by approximately 20%. Through the 4th of July there has been 42% of the quota caught. Did you know Northern Rockfish can reach an age of 70 years? The harvest of yellowfin sole increased significantly as the boats gained access to the areas previously blocked by ice. The YTD harvest is now nearly on par with last year. However as now we are in the middle of summer, the catch rates will decline as the fish disperse and the boats are often targeting other species like cod and arrowtooth flounder. Good supplies of small fillets coupled with weak global demand will keep prices steady through the rest of the year. The supply of larger fillets, while never abundant, will be lower in the second half of 2102. Keta fisheries are now in full swing throughout Alaska and the catch rates are tracking the pre-season forecasts so far. H&G Chum are being offered to China this year are at prices 10-15% lower than last year. Demand from the China processors is not very strong given that many of them have significant carryover inventory from the 2011 season. Domestically produced fillets should see a similar decline. New season forecast is out for 2012 with a projection of 38,371,000 fish, which is a decrease from the actual preliminary 2011 harvest of 40,024,000 fish Catch through the 4th of July in Bristol Bay is 9,375,862 fish, which is about on target for projection. Latest reports indicate that Bristol Bay sockeye landings have slowed considerably. A fish by any other name would still smell like money... sockeye are also called reds, or blueback salmon. New season forecast is in for 2012, the projection is for 4,327,000 fish compared to a preliminary actual harvest of 3,444,000 fish in 2011. Catch as of the 6th of July is 28,000 fish. Did you know adult coho in saltwater are bright silver with small black spots on the back and the upper part of the tail, they are also commonly called silver salmon? The outlook on Atlantic Salmon is looking good now and the market is improving in terms of price levels and supply. The ample supply of farmed fish also seems to be exerting downward pricing pressure on wild salmon species. Although they are called Atlantic salmon the majority of farmed salmon imported into the United States are raised in the Pacific Ocean off the coast of Chile. Directed pink salmon fishing has only just begun in a limited number of areas in Alaska and it is too soon to make any predictions on the size of the run. As this is an 'even year', the harvest should be lower than last year, but pink salmon runs are notoriously volatile. Typically the harvests in even years are less than odd numbered years. Catch through the 6th of July is 428,000 fish. Prices still soft despite continued information regarding supply which is related to the financial problems with Vietnamese farms and processing plants. In order for this industry to continue to flourish a turnaround in prices will be necessary within the year. The king crab market appears to be in a stalemate. While U.S. demand for king crab continues to be weak with prices trending lower there is a serious disconnect between replacement costs that are higher than current market returns. Colorful king crabs; there are 3 primary king crab species sold in the United States red (Paralithodes camtschaticus), blue (Paralithodes platypus) and brown which can also legally be called golden (Lithodes aequispinus). In years past blue king crab were often marketed under the red king crab moniker, however the FDA Seafood List makes it clear that only Paralithodes camtschaticus may be marketed as red king crab and Paralithodes platypus must be calledblue king crab or simply king crab. After two extensions the Snow crab season in Alaska is finally over, through the 2nd of July 79,942,909 lbs. of the 80,000,000+ lb quota has been caught or approximately 99.9% of 2012 season. Fishing in Canada has been good with 92% of the 52,491 MT Newfoundland Quota caught so far. Pricing on both origins has stabilized a bit within a fairly narrow range. Did you know that males are the only crab allowed to be harvested and can be distinguished by a thinner tail flap? Dungeness availability has been minimal with high pricing, the Alaskan seasons are now open but fishing effort is typically not enough to do more than take the edge off demand. Look for pricing to stay firm for the near term. Did you know Dungeness have four pairs of walking legs and a pair of claws? Dungeness typically have a purplish brown color until cooked, when they turn the orange/red color you see in whole cook or section form. New production has started in Chile but most product is committed prior to production. According to the FDA another acceptable, although not terribly aesthetic name for langostinos are squat lobsters. While still high, prices seem to have been easing since the March 1 opening. In recent years a weak dollar has prompted an increase in exports and higher prices in the U.S. Again it will be interesting to see how the economic crisis in Europe will be affecting the seafood markets here in the U.S. France has been a large export market for domestic scallops. There are currently 312 full time and 28 part time vessels plying the waters off the Eastern Seaboard and 34 allowable days at sea to fish. "Cheese prices were mostly unchanged for the holiday-interrupted week. Trading activity at the CME Group was very light. The important news this week involved record hot, humid weather across much of the country. The Midwest and East both experienced extended record high temperatures. With milk solids already decreasing, now cheese plants are anticipating reductions in volume due to the weather. Rising prices since early May have advanced cheese prices from 14-20 cents at the CME Group. (Source: Dairy Market News Week Of July 2, 2012- July 6, 2012)." Butter AA steady "The CME cash AA butter price held steady for most of the holiday week but firmed on Friday to settle at $1.5325. Churning schedules were enhanced at varying rates throughout the country as additional cream volumes became available due to the midweek holiday. A major storm in the Mid-Atlantic region of the East Coast caused extensive power outages that interrupted and shut down operations at numerous dairy facilities. The combination of the storm and holiday related shut downs decreased cream demand and increased cream volumes clearing to churns. Some Eastern cream was cleared to Midwestern butter operations to keep volumes moving. Overall butter demand slowed this week as retailers and food service outlets prepared for the holiday period in recent weeks. (Source: Dairy Market News Week Of July 2, 2012- July 6, 2012)." Georgia Dock steady Market has lost steam in price and was reported as steady, should see downward price trend over the next couple of weeks. Boneless Breasts have seen increases and will again increase with heavy demand and a short production week. Wings continue to experience shortages, the short production week will only make the situation worse. Thighs are holding steady. Ground beef shows signs of decreasing but retail markets will attack and demand will keep prices steady. Choice Inside Top Rounds may decrease slightly while Select should hold steady. Choice and Select Lip On Ribeyes, Boneless Striploins, Top Sirloin Butts, Tri Tip, Flap Meat, and PSMO Tenderloins should begin to decline as summer grilling comes to a close.Choice and Select Ball Tips are expected to hold steady for the forseeable future. Chuck Rolls, and Briskets are weak right now. Outside Skirts, Commodity Trim gradual increase Outside Skirts moved up slightly as demand continued to outpace supplies. The expectation is still some downward movement as we get past the holiday time period. The pork market softened a bit, however this will be brief as pricing starts to increase on loins and ribs with demand for Labor Day. Pork Bellies are remaining high as retail is featuring bacon specials. Central and South American Shrimp steady White Shrimp: Latin American HLSO white shrimp are steady at listed levels with the exception of 16-20 count which may be discounted. Asian Blk Tigers steady 13-15 through 26-30 count HLSO black tiger shrimp remain unsettled as some off erings trend lower against lower white shrimp. Vannamei Shrimp (Asian, So Amer,Indian) steady "Asian white shrimp are about steady but with an unsettled undertone. Urner Barry 6/7/12. Crab steady "Canadian Snow Crab: The market remains very steady at listed levels. Urner Barry 6/21/2012. Dungeness Crab: Supplies are adequate to barely adequate for a moderate demand. Urner Barry 7/5/12. Low inventories balance low sales volumes as buyers wait for opportunities at lower pricing, driven either by inventory blow outs or the Canadian season, which opens in June. (June 2012) King Crab: The market continues to trend lower on 12-14 and 14-17 count red king crab; supplies are fully adequate for a dull demand. With the exception of 20-24s, the golden king crab market adjusted lower on all sizes. Again supplies are fully adequate for the same quiet demand. Urner Barry 7/5/2012. Pricing is inching lower each month as slow sales, high inventory costs, and some new fishing in Russia is making holders of the crab more nxious to move on. (May 2012) AK opilio: The market continues to adjust lower on 8-up crab. 5-8s have also trended slightly lower. Ice a ecting harvesting has moved and supplies are starting to become more available. Urner Barry 3/27/12." Scallops steady "The market continues to trade within previously listed levels, with only some exception. The quotation for Dry U10’s was lowered to refl ect increasing availability. Urner Barry 7/5/12. Corn price is rising. Soybean Oil gradual increase The soybean complex posted new highs for the move this week (all time highs in the meal) as collapsing U.S. crop condition ratings brought additional buying into the markets. The hot and dry weather pattern across much of the Midwest continued throughout this week and further declines in crop conditions are likely on Monday’s report. Soybean oil prices garnered additional support from the announcement of a 35,000 ton old crop sale of U.S. soybean oil to China. In addition, a 120,000 ton sale of U.S. old crop soybeans to China was announced today. Luring folks back to the restaurant scene after the festive feasts of December is no small challenge, but a sizzling NBA season, football playoffs, and of course, the Super Bowl, can bring them all back for some fantastic appetizers and deep fried dining. At the fragrant top of sports-fueled appetizers are piles of crispy, battered circles of perfection better known as onion rings—a great way to ring in the new year and ring up sales. Circling back: Worship of the onion goes all the way back to the ancient Egyptians, who believed that the rings and round shape represented eternal life. The exact origins of the onion ring are unknown, but several different, equally intriguing claims are made. A recipe for French Fried Onions may have appeared in the Middletown, NY Daily Times in 1910, the earliest mention. The Pig Stand restaurant chain in Oak Cliff, Texas, takes credit for inventing the onion ring in 1929, when one of their cooks accidentally dropped a ring of onion into a bowl of batter, fished it out and instinctively plunged it into a nearby vat of hot cooking oil. The battered onion ring became an instant hit and a permanent addition to the Pig Stand menu. Crisco weighs in with a deep fried onion ring recipe—dipped in milk then dredged in flour—that appeared in a 1933 advertisement in New York Times Magazine. The first commercial manufacture of natural, raw, breaded onion rings is claimed by Sam Quigley who started selling hand-cut rings out of his Nebraska storefront in 1955, and in 1959, built a plant to handle the demand for his "ready to serve" onion rings and in 1973 snagged Dairy Queen as one of their best customers. Put a ring on it: June 22, National Onion Ring Day. More popular than the Bieber? A quick search reveals - Yes, a Facebook Onion Ring page counted 2,152,536 fans to Justin Bieber’s 1,648,758 fans. Slice onions into rings. In one bowl, mix together flour, salt and baking powder. In another bowl, beat egg yolk, then stir in milk and vegetable oil. Combine wet and dry ingredients, stir until smooth. In a third bowl, beat egg white until soft peaks form, and then fold into the egg-flour mixture, stirring until smooth. Dip onion rings into batter and deep fry until golden brown. Amazing! US Foods San Francisco is introducing John Winfield who will be joining their team on Monday, January 30th. John joins US Foods with over 15 years of strong experience in the food and beverage industry. He worked for Pebble Beach as the Beverage and Retail Wine Manager for 10 years and then ventured to his most recent position with the Monterey Bay Aquarium where he held the title of Director of Operations. John will primarily be working as a Territory Manager in the Monterey area. John’s experience is enhanced by his Bachelor of Science in Business Administration from Pepperdine University and his Associate of Occupational Science in Culinary Arts from the California Culinary Academy. He enjoys motorcycling, snow skiing, cooking and traveling. John currently resides in Carmel Valley. Beans: 2012 Crop is the major topic of discussion. Competing grain markets have decreased slightly and dry edible beans look more competitive. Although it is still early to predict what the growers will do, the consensus appears they will grow beans only if they can get a contract that is equal to or better than grain and soybeans. With little or no carryover on most varieties, the weather will also play a major factor this spring. Blackeyes: Prices continue firm and import values are also rising. No pricing relief is expected until 2012 crop beans are available. Baby Limas: Values remain steady. Great Northerns: Slightly higher prices reported with growers holding for higher prices. Green Split Peas: No change. Large Limas: Prices are steady and are expected to maintain current levels. Light Red Kidneys: Slightly higher values reported with a few quality issues surfacing in the Midwest. Pink Beans: High values continue to be the norm with no pricing relief expected. Pintos: Mexican buyers have been very active and are purchasing as much product as they can get to ship within the next 90 days. As predicted, prices have risen to reflect the increased demand. Growers continue to hold for higher prices and with nine months left to go in the marketing year and no carryover, they hold the cards. Yellow Popcorn: Values continue to increase as the full extent of decreased production is reported. Long Grain Rice: Market continues to soften slightly as no unexpected export sales have materialized. Although the US crop is at least 25% down from the previous year, the world production is one of the highest on record. Processors are very concerned that unless the values to producers stabilize or increase, the US production for the 2012 crop could be down even more this coming season. Medium Grain Rice: Prices remain relatively stable. As with the long grain crop, there has been no unexpected export activity.